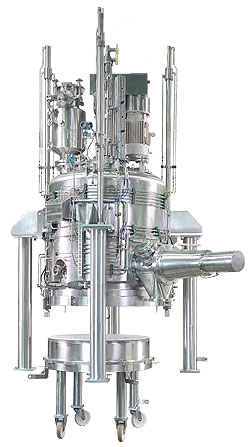 Whether in the chemical, pharmaceutical or food industry, DDPS filters and filter/dryers prove themselves through a very high efficiency in washing and isolating solids, even in the most difficult production processes. DDPS filters and filter/dryers have many features that make them the recognized industry leader. See our page on filtration components and materials of construction for more information. 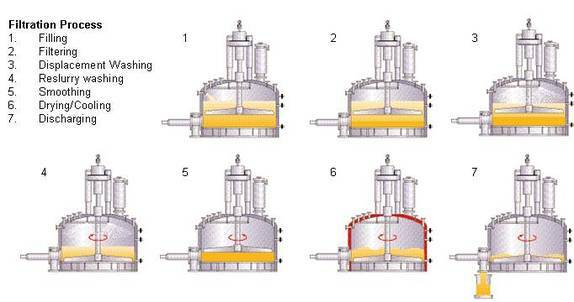 Production Scale Filter/Dryers - Traditional agitated filter design for standard production scale filtration with additional drying feature included. Pilot Scale Filter/Dryers- Portable nutsche filter designed for the filtration and drying of small pharmaceutical and chemical batches. Manual Nutsche Filters - Easy to clean, anti-corrosive filter for processing pharmaceuticals, high-purity organic chemicals, dyes and precious metals, available in metal or non-metallic design. Laboratory Scale Filters - Ideal for performing fast, safe demonstrations and tests of filtration, washing and drying for scale up. Filtration Systems - DDPS can integrate any of our filtration equipment with process utilities, instrumentation, automation and controls and other peripheral equipment to create a customized process solution.